Are you looking for intense fighting game action? Try going wild! In Animelee, you have the right to bear arms. Want to go fast? Go fox. Going for all out power? Croc's can handle things in a snap. Do you want to win with reflexes and skill instead of button-mashing? Battles can be a blistering brawl between high speed animals, or a tense game of strategy between slow, heavy hitters that can end the match in seconds. See if you can handle the intense action and endless combos of Animelee. Win Animoney from battles! Play the Claw Machine mini-game to earn dozens of equipment. Battle and recruit Daily Bosses! Then build a team of heroes and battle hordes of the undead in the Zompocalypse RPG mini-game to earn powerful weapons. NEW! Snake has joined the roster! Use venomous strikes and speed to defeat your opponents! NEW! Zompocalypse Mode is now available as our 10,000 Player Reward! Defeat Daily Bosses, recruit them to your party, and battle hordes of zombies to win powerful weapons. Tense, bare knuckle battles await you. **Animelee is designed to work optimally with 2GB if RAM. If it does not work on your device, please do not rate with 1 star. Explain your rating so we can improve device compatibility. -16 characters including the newly added Snake! -New characters added regularly based on YOUR votes. -Built-in voting in-game lets YOU decide the new free content! -Collect and wear a wide variety of HATS to power up your fighters. -Battle across more than 12 stages around the world! -Experience an epic saga of adventure and mystery. -Battle friends (and enemies) with Player-to-Player battles over Wi-Fi and mobile data. -Max out your energy gauge to transform into legendary golden forms and gain new powers! -Daily Log-In rewards can earn you unique, powerful items! -Take photos of your battles with in-game snapshot feature to share with friends. -Quick and easy quality settings ensures Animelee runs optimally on many devices. -Stage content available in-game may be based on the memory capabilities of your device. 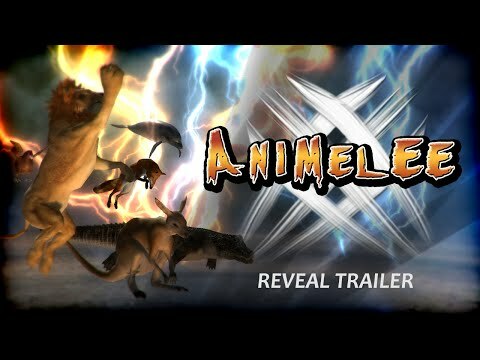 If you've ever wanted an animals fighting game, this is for you.